GLEAM was added to the AHDB Recommended List in 2018. It is a very high yielding, hard feed winter wheat variety that is adaptable. It performs in all rotational positions with a wide drilling window. It is flexible with excellent overall disease resistance and OWBM resistance. 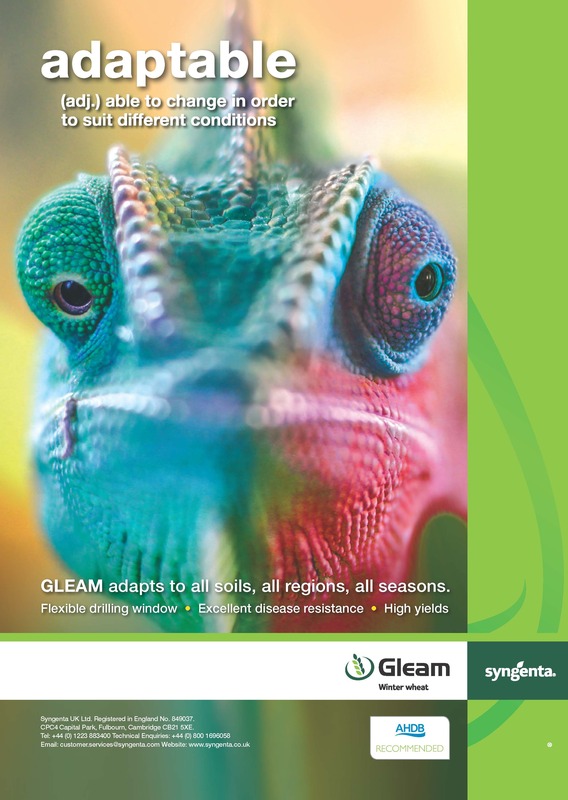 GLEAM has an outstanding overall profile for yield, agronomics, diseases resistance and grain quality. "Very high yielding hard feed with excellent yield and strong disease resistance. Early maturity and OWBM are welcome additions. Good straw strength and consistent performance are attractive traits." We've compared GLEAM with a couple of varieties on the AHDB Recommended List 2019 and shared some key statistics we think you'll be interested in. Download the variety sheet for some more in depth information you can carry with you everywhere.